Hot Beverages PowerPoint templates - currently, delicious tea, like no other beverage enjoys a great popularity in the world. Cooked tea for many of us start with a rather simple question: how to brew tea to his taste was really excellent. 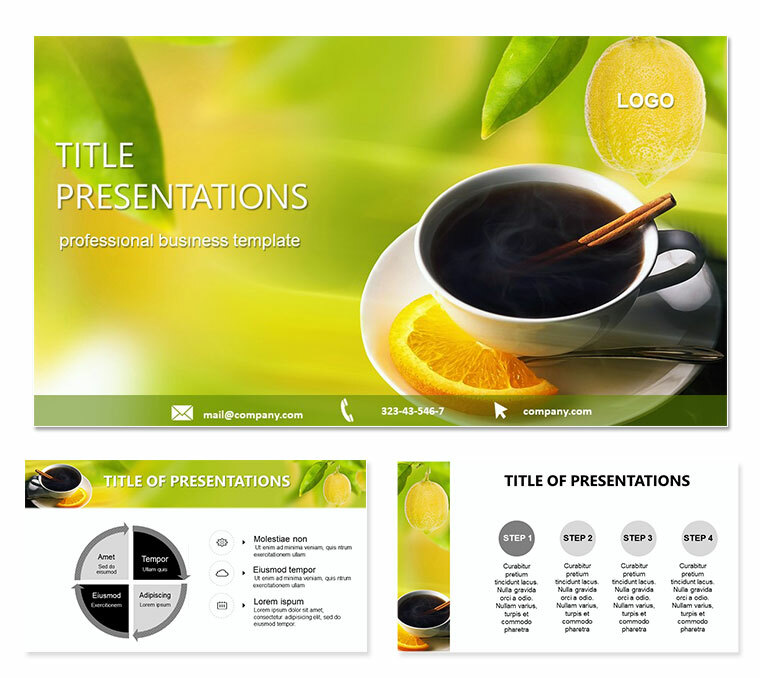 Download PowerPoint Hot Beverages templates for presentations.